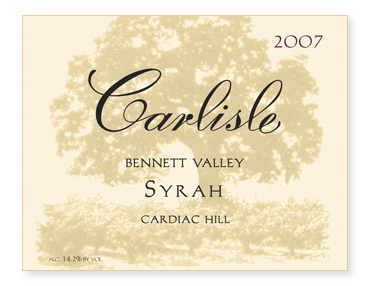 This year’s Cardiac Hill is a blend of four Syrah clones from Bennett Valley with the majority of fruit coming from a steep, rocky north-facing hillside. Yields were a modest 3 tons to the acre. Fermented indigenously with 33% whole clusters to increase structure and aromatic lift. Aged in 28% new oak and bottled unfined and unfiltered.